Tweet Not too long ago we at Zoiks! 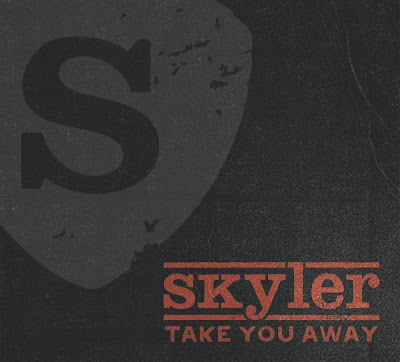 were introduced to this up and coming talent known simply as Skyler. He’s billed as the next Taylor Swift, the male version of course. His first release was “Long Gone,” but he’s now following that up with the EP “Take You Away.” I got a chance to talk with Skyler again, this time about the new EP and the high you get when you create something new. Zoiks! Tell us about your new EP. How would you describe it? Skyler: “Take You Away” is the next step after “Long Gone.” It still has elements of Country, Rock, and Pop, but it is a more cohesive EP. Unlike with the first record, we got to rehearse most of the songs for months before we recorded it, rather than having to learn it as we go. Doing so allowed the songs to evolve prior to getting to the studio. I'm very happy with the record and I hope our fans enjoy as much as we do. Z! : What is your song writing process? S: I write with my two songwriting partners, Adam and Michael Scharff. One of us will come to the others with a verse, a chorus, or just an idea, and go from there. It's a very fun way to write. Z! : Do you need to be inspired to write, or are you able to just hammer something out? S: Usually, at least one of us needs to be inspired. Sometimes we can just come up with an idea and roll with it, but for the most part one of us needs to be the driving force behind the song. Z! : As a wannabe musician I always enjoy hearing about when you create something and that feeling you get when it all clicks and you know you have something special. Can you describe that feeling? S: I'm not sure if it's truly possible to explain how amazing that feels. When you write a song that you know is really great, that gives you a certain kind of high. Then you start to lose that feeling. Then you play it with the band for the first time, and you get that excitement and thrill again. And, after a while, that starts to go away because it's no longer new to you. Then, you get to experience that feeling again when you record it. And, of course, finally, you get to experience it every night when you play it for your fans and they connect with the song. Z! : Do you have any summer tour plans? S: We're planning a Summer tour, but haven't announced anything yet. Z! : What can fans expect from your live shows? S: A fun, energetic, and great time! S: Thank you so much and I hope you enjoy the music!